They have 80% of the information you need to succeed. Old people did all that long before you did, and their conclusions are clearly laid out in their minds. I’m talking about practical, solid knowledge, things that you can use right now, not bogus quotes on Facebook. Old men don’t know anything about fashion and the latest LOLcats social media trends, but they have valuable data in store. Save time and steal their insights. They’re generally glad to share it anyway, and they won’t charge. Of course, marketers don’t want you to do that, they’d rather sell you a book, or an online course. now people feel they have to purchase the knowledge they could get for free. If you find it corny to tap into old people’s life experience, you can still ask GOOGLE, but search engines are packed with guys anxious to sell you their answers. And they’re your age, they don’t know more than you do (I’m probably your age). Your presence on this website proves that you know you can’t figure out everything on your own, the good thing is there’s enough old men who’ve done what you’re doing now: building a successful life. They came out with real answers. You shouldn’t waste time on this blog. Instead, spending an hour with a retired CEO would be a good thing to try. 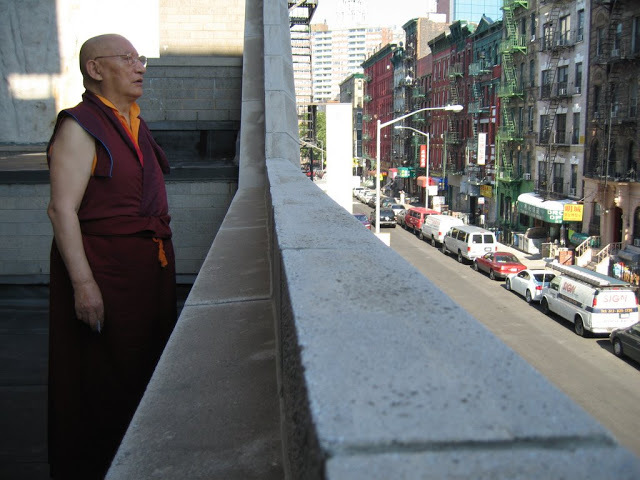 Have you met Khenchen Rinpoche in person? I remember having read that name in a book from MAthieu Ricard (Plaidoyer sur le bonheur), that I really enjoyed! Love the advice about not spending time on your blog… I think i’ll try to take the best of both worlds: keep on reading your blog and ask some wise and old person about their insights on life. yes I used to live by Khenchen Rinpoche (I posted something about that here). I was a Buddhist monk at the time, and I had decided to be close to a Meditation master. I should try and read Matthieu Ricard one of these days, thanks for the reminder. Very well put. A lot of the old masters/mistresses are online. However, few are at Facebook or Twitter. I have found a large group of them at WordPress.Com. (Not WordPress.Org, mind you). The retirees there will to give out all sorts of information. What’s comical about it is what they have to say is pure common sense. Something the younger generations haven’t learned to grasp yet. Glynis, if you really think about it common sense is such an inappropriate term: people with a wise and effective approach to life aren’t common, right? And it’s true that old people’s words sound too simple to be serious. Yet they’re often just right. Simple doesn’t equal shallow. Would you care to share links on the old folks at worpress.com? People should listen to you indeed. Not because you’re older than me, but because your posts are serious, healthy food for thoughts. I’m kind of old. I’m 75. You’re right. I know stuff. It’s all there for the asking. But old people know better than to spout information nobody asked for. Just ask. It’s free and there’s a lot of it. And I know more stuff all the time, because I read your excellent blog! I’m still a work in progress.In another 25 years I might be dam near perfect!